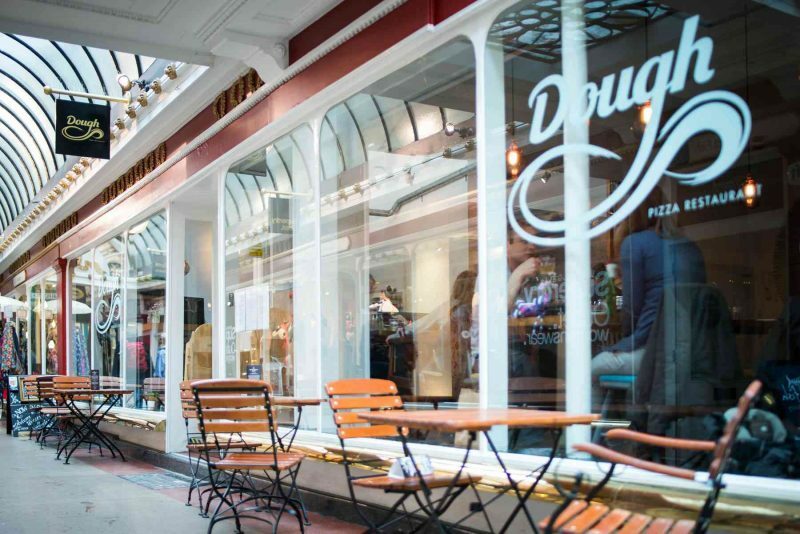 Our extensive dough selection means there is a pizza for everyone, whatever your health needs, dietary requirements or lifestyle choices, without compromising on taste, quality and the traditional methods of pizza making. 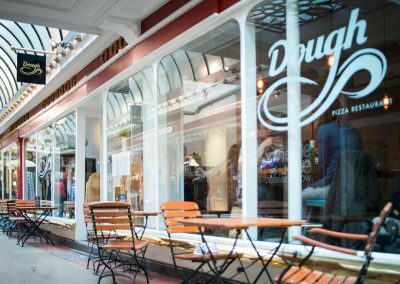 We look forward to welcoming you to our restaurants in Bath’s The Corridor and Bristol’s Baldwin Street soon, so you can discover the Dough experience for yourself. 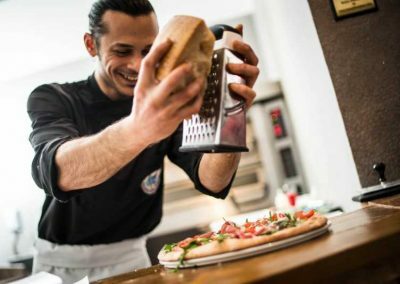 Dough’s front man is Emiliano Tunno, a pizza acrobat and instructor who’s opened pizzerias around the world. 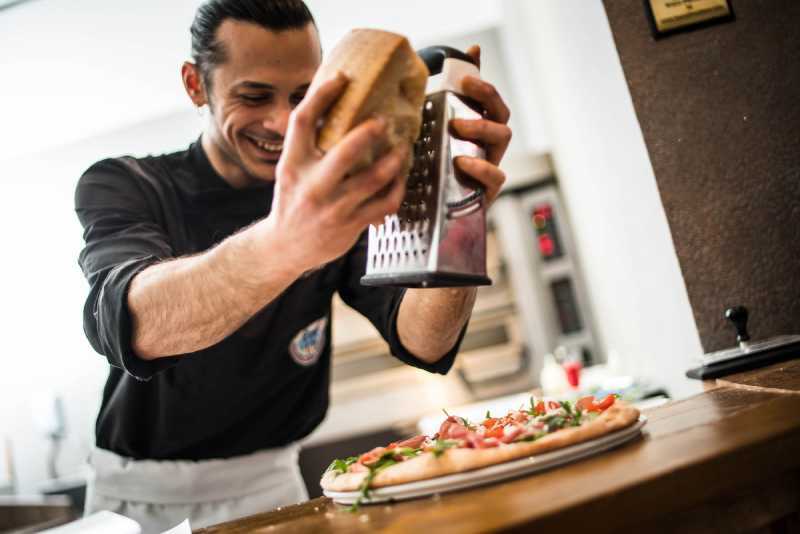 He loves coming up with new and exciting ways to manipulate and change up the dough to achieve a healthier and better base, so expect to see more unusual pizza shapes and even more doughs you haven’t come across hitting the Dough Pizza menu very soon. 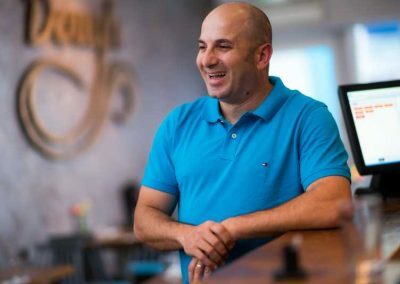 Massimo Nucaro cut his teeth as the king of pizza on the festival circuit – selling his sought-after pizzas through sister business Green Pepper & Red Tomato. 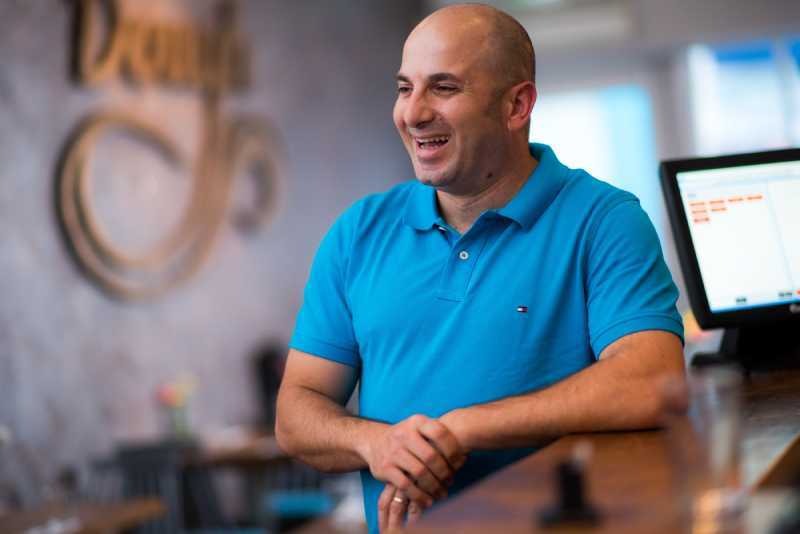 Massimo brings his more 18 years of expertise and creative vision to Dough Pizza here in Bath and Bristol. It was his own first-hand experience of an intolerance to gluten which started the quest for alternative and health-giving dough. 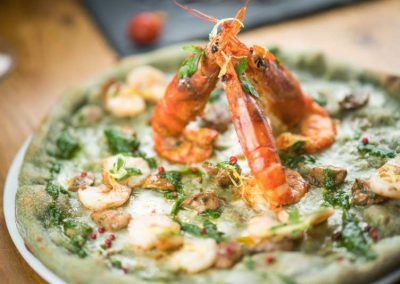 The southern Italian duo have been working together for years and the idea to create Dough came to them during a fishing trip to New Zealand.